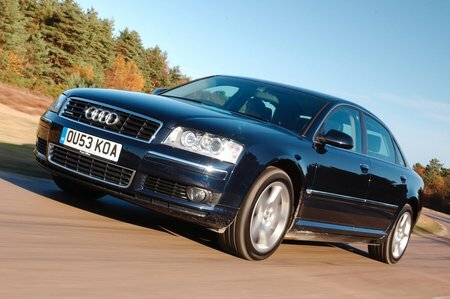 Which used Audi A8 saloon should I buy? The 3.0 diesel model makes most sense. Not only does it promise up to 32mpg - a good return for a big, four-wheel-drive car - but it's one of the cheaper models to buy. If that's not enough to persuade you, it also loses value more slowly than other A8s. Otherwise, the smallest petrol engine, the 3.2 V6, makes a fair fist of hauling the car quickly, while keeping buying and owning costs to sensible levels. Whichever model you look at, you'll have plenty of kit, with sat-nav, leather seats and keyless entry on all. Parking sensors ease the worry of parking in town; they're a real boon, particularly on the long-wheelbase version.